Little Gaijin in the Big City: Gemini is done! how to read my comic on your kindle! Gemini is done! how to read my comic on your kindle! it's 155 pages (not counting the filler pages I made back when I cared about weekly updates) and took from 2005 - 2011! so the artwork has changed a lot. But that is not the point! The cool and unique thing about Gemini is that it is a full story, from start to finish, that is one book long. It has a sort of manga style, but is based in the bay area. "A child of divorce, Lauren Gemini sets out to find her father, an ex-cop of the SFPD. To her surprise, he's formed a detective agency... before she knows it, Lauren is wrapped up in his latest case, investigating the poisoning of Crystal Springs. As the situation becomes dire, she finds herself uncovering the days surrounding her parent's divorce, and the culprit her father faced years ago. 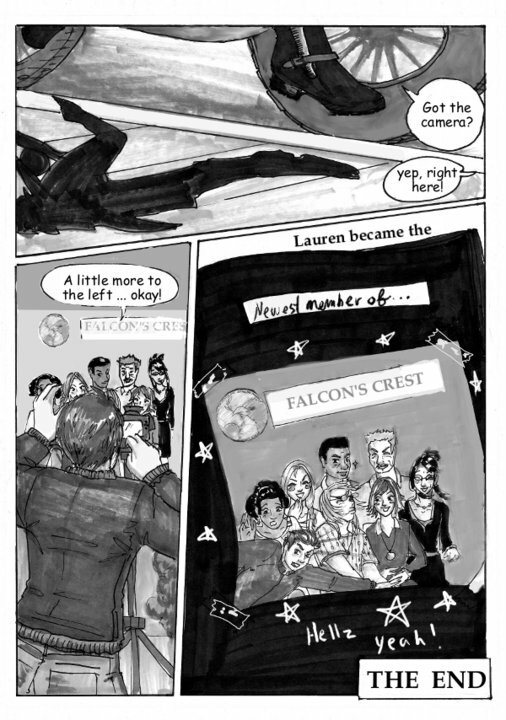 This time it's up to Lauren to take on her father's enemy and save Crystal Springs!" "A++! Five stars out of five! The angels are dancing on the head of a pin! " - The New York Times comment section taken entirely out of context. Anyways, if you have a kindle, here's how you can read it on there! I think. If this doesn't work, please comment and I'll try to troubleshoot. 3) plug in your kindle via USB. you will see some folders that say 'documents' 'music' 'audible'. Make a new folder there at the top level, and call it 'pictures'. 4) copy the unzipped Gemini folder as it is under the new 'pictures' folder. 5) unplug your Kindle, go to your home screen, and hopefully... voila! a file called Gemini shows up. Click on it and you should see the first page, which is Helen slamming a table. PS. I know there are tons of typos and plot holes, but! "I couldn’t stop reading until I had finished the entire story. Weaver is a skilled storyteller, creating characters who are clever, resourceful, and funny, and crafting a plot that blends humor, action, suspense, and even romance. The pace never gets slow, and Weaver knows just how much information to reveal at a time to keep the reader interested - and guessing! As the storylines build toward an action-packed climax, so do Weaver’s powers as an illustrator and comics artist over the 7 years it took to complete this. However, I finished reading this 155-page graphic novel in a day - and found it pure fun."